Children entertainers for kids’ birthday parties in London are a really special way to make the celebration extraordinary! 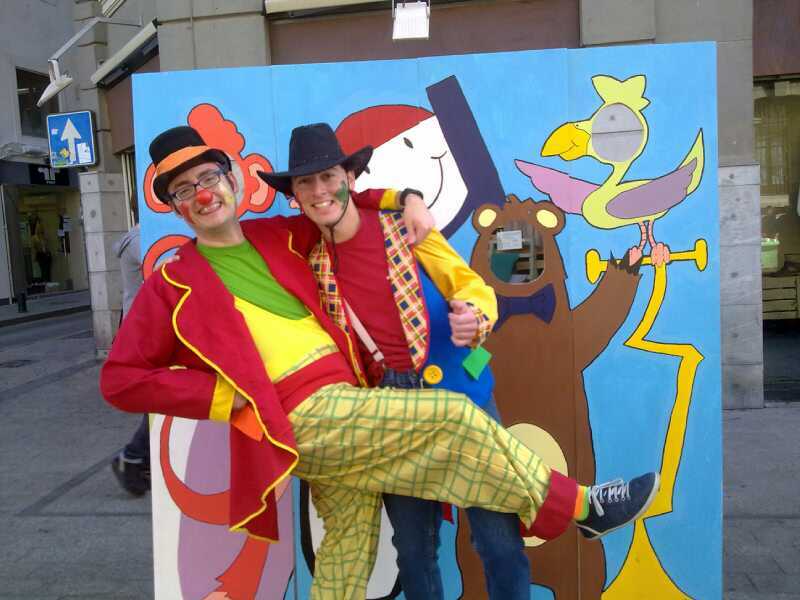 Have fun at the event with mesmerizing Magic shows, Side – splitting, hilarious Clown shows, interactive Puppet shows, cuddly Mascots, mind-boggling Science shows; cool & current or Disney theme music, high-energy games, creative face painting, extraordinary balloon models, birthday cakes, bouncy castles, catering and more! All these things bring life to children’s birthday parties and create lasting memories for the kids, their family and friends at the special event! Hire party entertainment for kids’ birthday festivities to keep the little ones busy and engaged while you – mums, dads & carers – relax! Classic Package: This is a high- energy package, designed to bring the fun factor to kids of all ages. 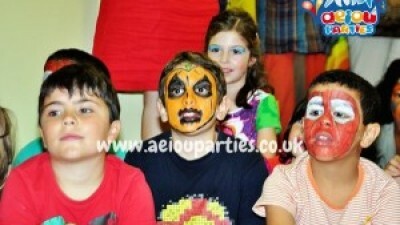 In this package they will experience exciting games, creative face painting and amazing balloon modelling. This also includes music, singing and dancing! Classic + Magic: This package gives the children the best of the Classic package and also gives them the excitement of a mesmerising, funny magic show! Classic + Puppets or Story telling: This package is for the younger birthday celebrants and their friends; if your child is under 5 this is the perfect package for them! This package is much calmer than the Classic and Classic + Magic, but still includes the great activities they have to offer. The children will also enjoy 15 – 20 minutes of an enchanting puppet show which is interactive and truly sets off the children’s imagination! 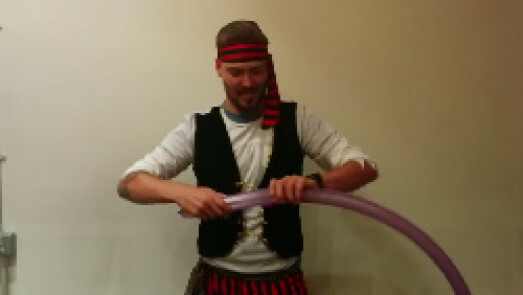 The birthday boy or birthday girl will thank you forever after booking one of AEIOU’s professional and experienced children entertainers for your their birthday do! 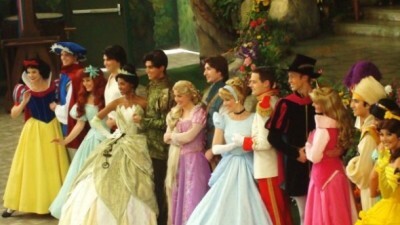 Our team are lively, fun, young at heart, theatrical, experienced entertainers who are CRB checked and love what they do. The entertainers bring the fun, magical, high energy entertainment to parties and events anywhere in London and surrounding counties: Barking and Dagenham, Barnet, Bexley, Brent, Bromley, Camden, Croydon, Ealing, Enfield, Greenwich, Hackney, Hammersmith and Fulham, Haringey, Harrow, Havering, Hillingdon, Hounslow, Islington, Kensington and Chelsea, Kingston upon Thames, Lambeth, Lewisham, Merton, Newham, Redbridge, Richmond upon Thames, Southwark, Sutton, Tower Hamlets, Waltham Forest, Wandsworth, Westminster, parts of Kent and Essex too. 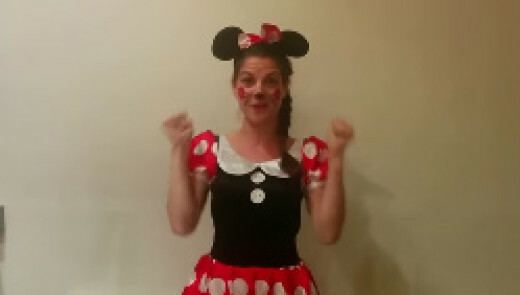 Our children entertainers for kids birthday parties in London offer action -packed, high energy party entertainment from start to finish – the kids will enjoy the celebration!There will be guaranteed laughter, jokes, singing and dancing! No child is too young or too old to enjoy the wonderful games, activities and shows we have available. 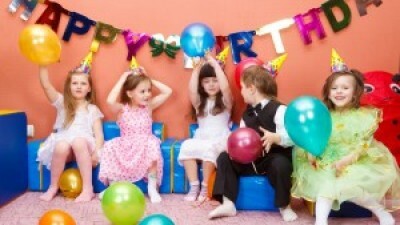 We also welcome your ideas – we will tailor each birthday party to suit your needs. Children’s entertainers for kids birthday parties in London is a great way to create lasting memories for the ‘little ones’ friends. Check out our amazing activities on our Activities page for more ideas for your little girls and boys birthday parties! Call us for a non-obligatory quote!